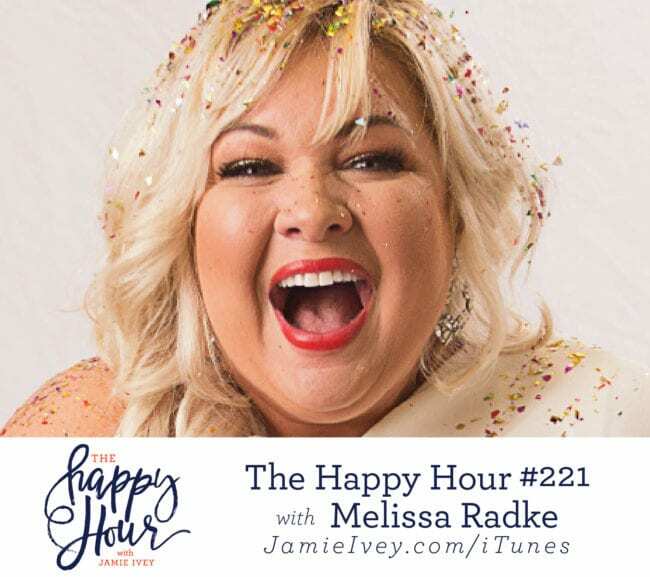 My guest for The Happy Hour # 221 is Melissa Radke. Melissa is a singer, speaker, author, and momma. Melissa and her family will soon be featured on a reality show that, in her words, “will probably horrify her mother”. Melissa and her husband David live in Lufkin, Texas with their two kids, Remi Hope and Rocco Cooper who they fought so hard for during 12 years of infertility. Friends, get ready because on today’s show you’re going to laugh, cry, and love hearing my conversation with Melissa! We start off the show talking about being brave while also feeling anxiety and fear. Melissa discusses how we learn so much through taking self-inventory and fighting the urge to point the finger outward instead of looking within ourselves. She also talks about how the reality tv show came to be and never in a million years did she think this would be part of God’s plan! Melissa then shares the story of how she and her husband started out in Nashville and wound up in Texas, and faced infertility, loss of dreams, miscarriages, and broken trust in their marriage. She tells us how vulnerably sharing both sides of the story of her marriage brought healing. She says, “our most vulnerable stories are our most powerful thing”, and I couldn’t agree more. Hearing her story brought me to tears, but Melissa brings such encouragement as she talks about how our God is always faithful, and how He is constantly, always working for our good. Third Love – Get 15% off your first purchase! I first heard of Melissa because of her funny video! Then I heard her on the Holderness podcast and now yours! I can’t wait until January to watch her new show. I am also going to read her book!! I love to read about real people and how God worked in their lives. She is refreshing and fun. Most of the time “the world” doesn’t know it, but being a Christian is FUN. Thanks for all the great women you are allowing me to get to know. I am looking for an amazing, inspiring women, to come to Rector, AR in September, 2019 and speak to the ladies of NEA, so I am praying as I listen…maybe one of your guest could be our guest speaker! !